An experiment at Solid tests a manufacturing style pioneered by pirates. Images by Halfdan and Rachel Kalmar; image compilation courtesy of Andrew “bunnie” Huang, used with permission. Image courtesy of Gershon Dublon, used with permission. I mean, there’s a use case for somebody here, right? The fact that these things even exist really warms the cockles of my little techno-hipster heart. Sadly for my little techno-hipster heart, devices like these simply aren’t created in the West — a result of the economics of the current style of product development here. The money, people, and resources it takes to mobilize a vertically integrated company into producing niche electronics just don’t add up to a profit. Building hardware is hard, indeed. Until we have general purpose matter compilers, development of hardware products will differ dramatically from the development of pure software. Producing a device that can be used by thousands, tens of thousands, or hundreds of thousands of users is an extremely complicated dance that involves moving physical goods around the planet. It costs tens of thousands of dollars and around a month to press “compile” on even a simple injection mold. When a single company attempts the design and production of every part of a product — circuit board, enclosure, software, etc. — a whole lot of capital and human resources are required. [An] informal network dominates the cell phone supply chain in Shenzhen…People no longer locate themselves in the same office anymore. They reshuffle on the basis of projects. A promising project will soon attract a group of talents or a few competent companies, with each having different assignments. Some will be in charge of providing printed circuit boards (PCB); some take care of the shells, with the rest of the parts covered by another team. Since the threshold for entering is low, it is even acceptable for companies to try crazy projects. Free information flow brought unrelated companies together and enabled grassroots innovation. In other words, these companies use radically dynamic allocation of expertise and open information flow to turn a profit on low-volume hardware, basing their designs on previous or modularized ones. 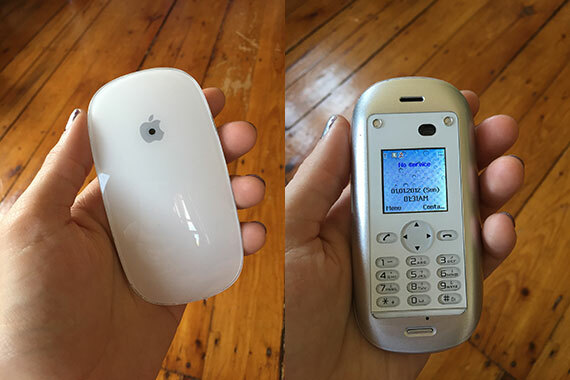 This allows products such as the phones pictured above to be designed and manufactured in a matter of months, and for an extremely low cost. If they sell, more are made. If they don’t sell, everyone moves onto something new. Where some may see piracy, others see sampling, remixing, and burning. 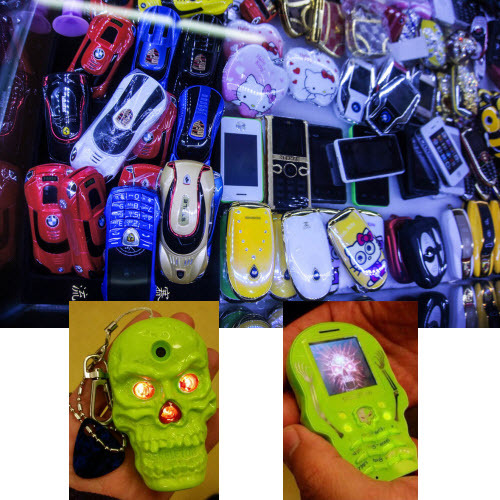 Furthermore, when you consider that the kids in Tahrir Square were most likely not using $800 iPhones to connect to Twitter, but cheap smartphones created by Shanzhai companies, the movement begins to sound a whole lot more serious. We’re going to build a pop-up factory at Solid, right in the exhibit hall, to produce electronics live during the conference. This radical shift in manufacturing is so exciting that we’ve decided to try it out for ourselves. We’re going to build a pop-up factory at Solid, right in the exhibit hall, to produce electronics live during the conference. Spools of raw electronic components and 3D printing resin will go in, and fully functioning electronic devices will come out. The electronics that will come out are Alike bands, social-networking wearables designed by Marcelo Coelho. We have partnered with Seeed Studio, Formlabs, Proto Labs, and ANT Wireless to produce 1,500 Alike bands — most of them in China on extremely fast turnaround, but about a third of them on rapid, lightweight manufacturing equipment in Solid’s exhibit hall. Each of these partner companies has spent many years and a lot of money to produce modularized technologies that can be combined to quickly develop and manufacture hardware at scale. ANT Wireless is providing the prefab modules that simplify the electrical and software work required to build a high-node mesh network and allows Coelho’s team to concentrate on programming great user interactions. Seeed Studio is flexing its electronics supply chain, part sourcing, and circuit board assembly expertise. We’ve been using Proto Labs’ excellent online tools for designing molds, like this one, to quickly prototype and produce injection-molded enclosures. And Formlabs will 3D-print a special run of 500 unique, computationally generated enclosures so that audience members can make their devices truly personal. This is the first time that a demo like this has been attempted at a conference like Solid, and we are excited to see how it all turns out. We’ve already coordinated the delivery of ANT Wireless modules to our facilities in China, San Francisco, and Cambridge. Coelho and I are leaving for China next week to meet up with Seeed Studio at their main factory in Shenzhen to make the bulk of the circuit boards. Proto Labs is cranking out the injection-molded parts for the enclosures, and the folks at Formlabs are in the process of shipping a whole lot of resin to San Francisco for the Pop-Up Factory demo itself. The devices we’re making aren’t intended to topple an abusive government or build a billion-dollar hardware startup, although they do illustrate the tools that make it possible for democratic movements to challenge authorities and for tiny startups to compete with big manufacturers. But that’s really the point: thanks to these new ways of designing and manufacturing electronics, a useful product does not need an audience of millions in order to justify its existence. That’s the first step down the road toward a world full of physical technology customized to our most personal needs as well as our most pressing social ones. The next generation of great technology will blend hardware and software. Get weekly insight and knowledge on how to design, prototype, manufacture, and market great connected devices.